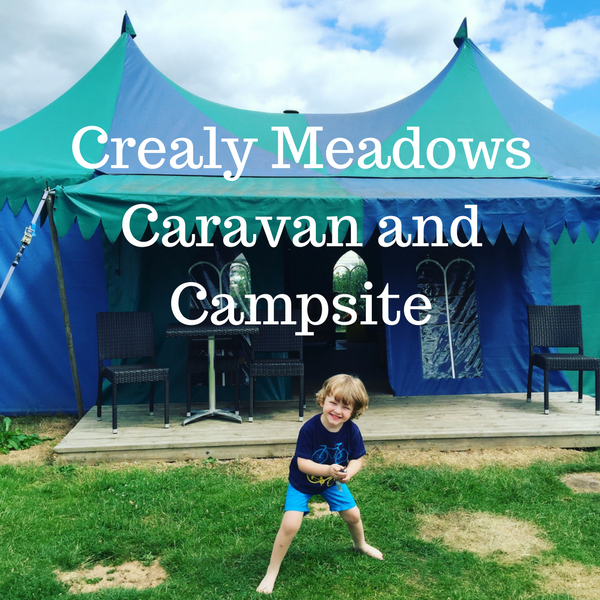 We started our summer of fun with a fantastic stay at Crealy Meadows Caravan and Campsite just outside Exeter in Devon. 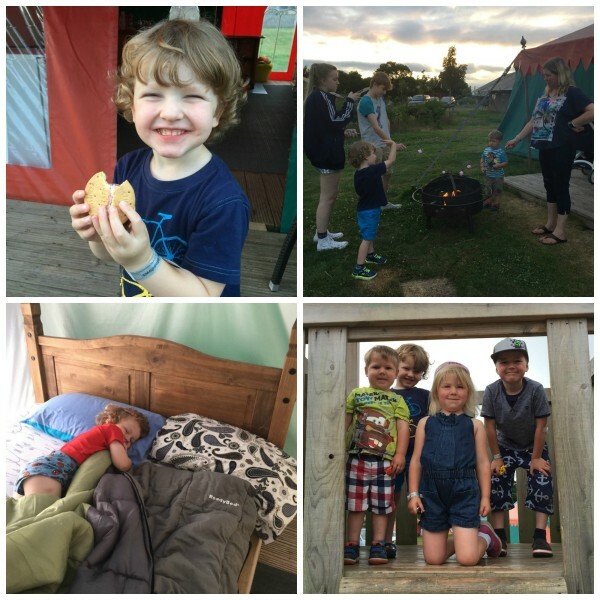 We were invited to go glamping there and had a brilliant couple of days. 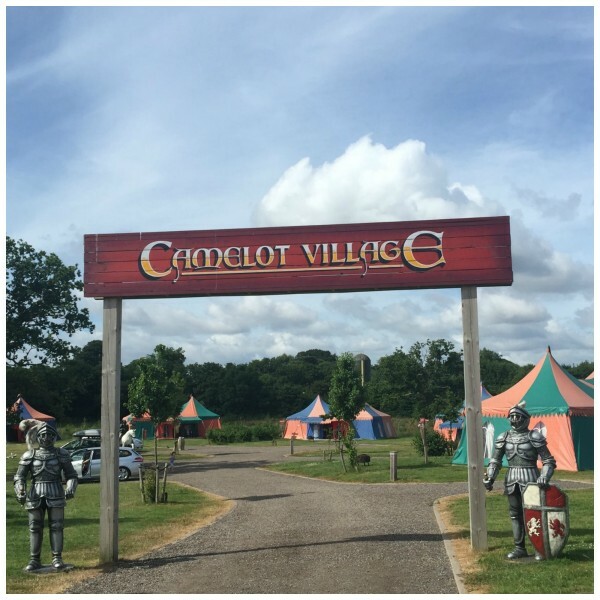 Considering it was one of the busiest travel days of the year – Saturday 23 July, we had a smooth, trouble free fairly quick journey to the site which we found with no problems at all. 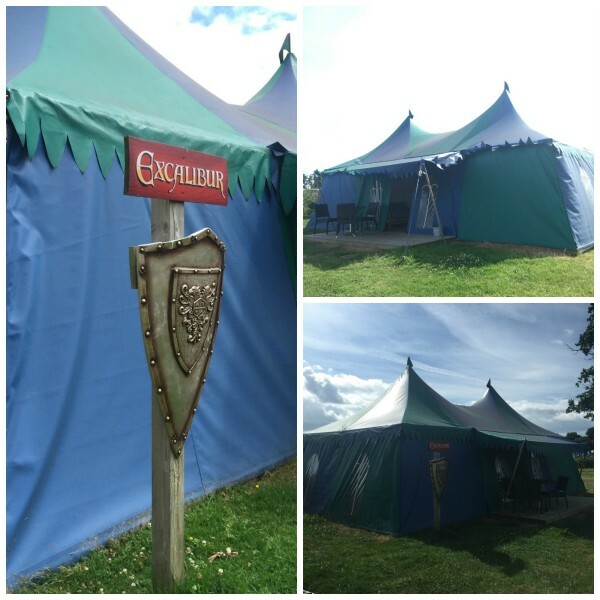 Reception staff were really friendly, and told us where our medieval tent was all ready and waiting for us. 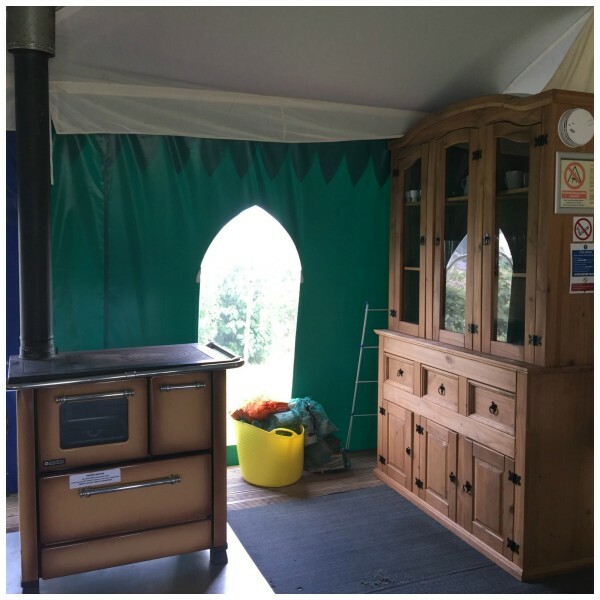 The tent was awesome, with a wooden kitchen, aga, futon settee, wooden table and chairs and beds. It was a scorching hot day, so it was super warm inside, but not unbearable. We didn’t need to light the wood burner, but can imagine on cooler days it would be so warm and cosy. 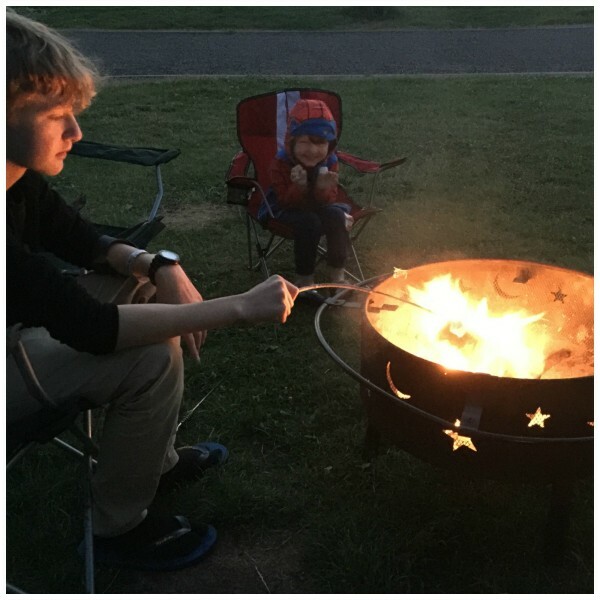 There were bags of kindling wood and logs provided too., as well as a fire pit outside. The kitchen had a fridge, kettle, toaster and all the crockery and utensils we needed. It really was camping in luxury. In front of the tent was wooden decking with outdoor table and chairs. Mummy was busy being a blogger taking photos and heard someone call her name – it was Kara from Chelsea Mamma who was staying opposite us! 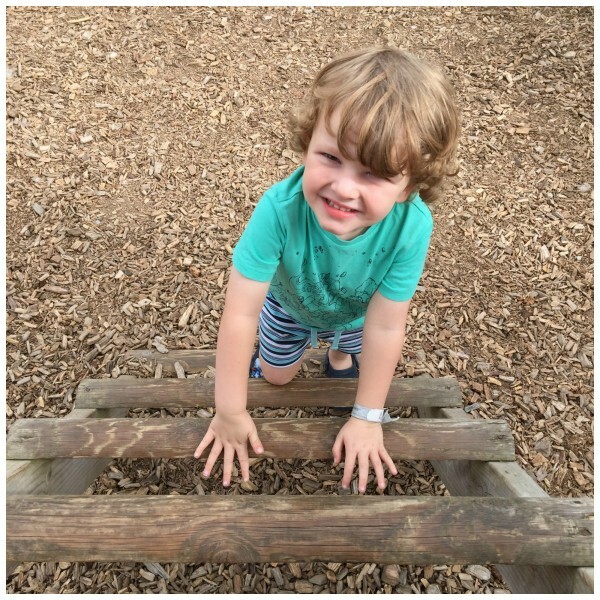 We spent some time together – particularly playing in the nearby play area which I loved. 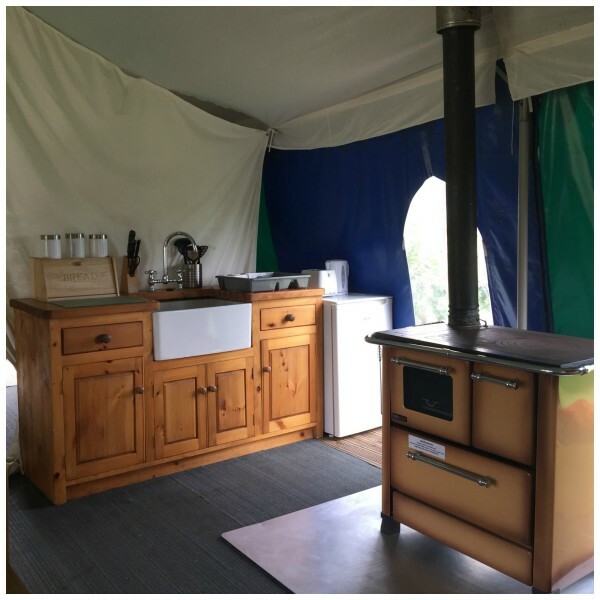 The site has pitches for tourers and tents, the Medieval tents, Safari tents – which are also glamping tents and lodges. It was spacious and really well kept. 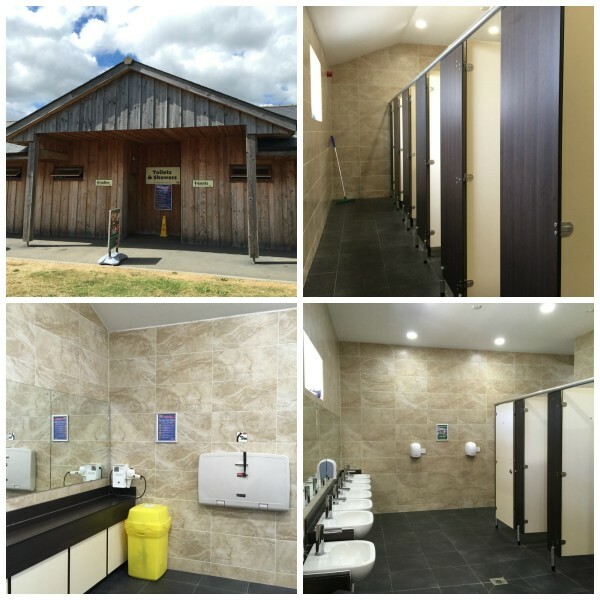 The toilet block was the best we have ever seen, with under floor heating, touch showers and plenty of loos, together with baby changing facilities, radio and hairdryer. In the reception building there was a small but well stocked, really well priced shop selling all the essentials. 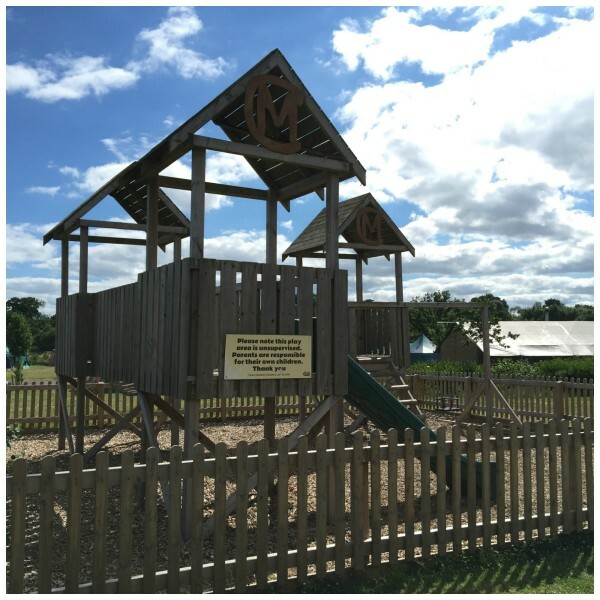 There is no cafe or restaurant but you have the option to go over to Crealy Park after opening hours for food, the indoor play centre and entertainment. 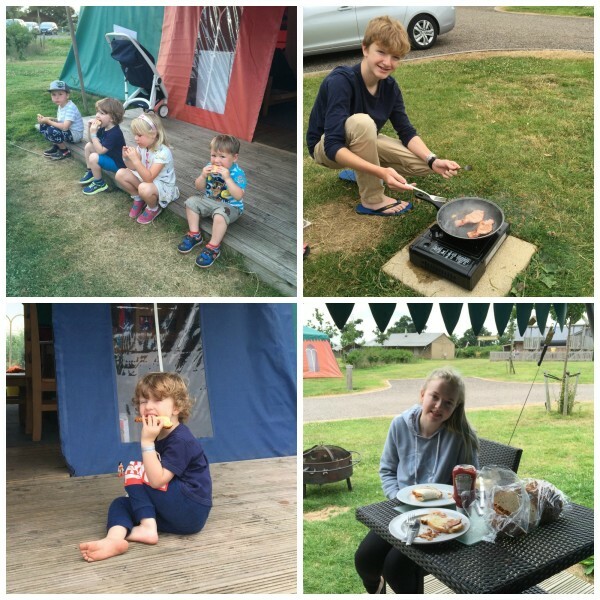 We have stayed at a few campsites – and Mummy has stayed at loads before I was born, and she was really impressed with this site and would definitely stay again. We had a brilliant time as you can see – I absolutely loved it. 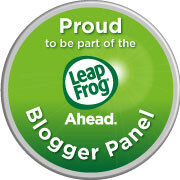 Look out for our review of Crealy Great Adventure Park coming very soon. 2017 breaks are on sale now so if you are looking to holiday in the UK with a bit of a difference, you must pop over to the website to see all that Crealy Meadows Caravan and Campsite has to offer, and for the latest prices and special offers. 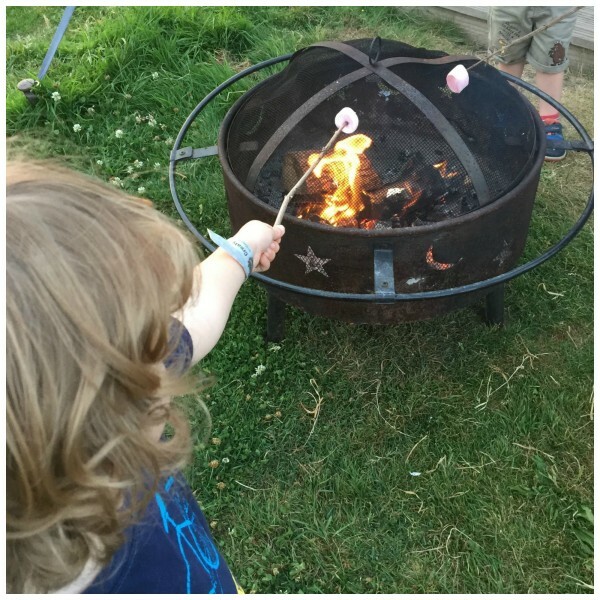 We were invited as guests to Crealy Meadows Caravan and Campsite, but all photos and words are ours. I love camping! 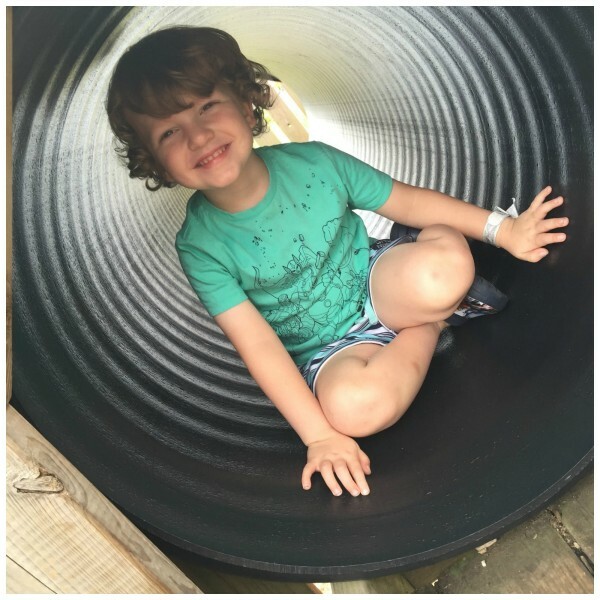 it looks like you had a blast! Love the village set up! That looks really lovely, I have not been camping with our girls as I like some of my home comforts but this looks fab. 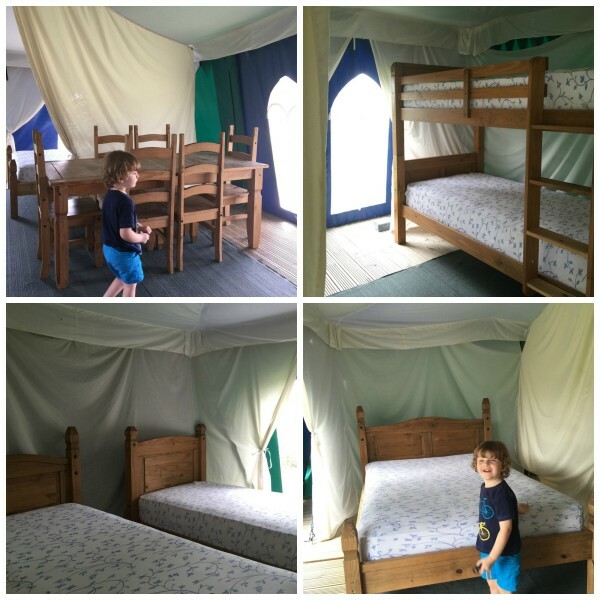 Oh wow that looks incredible- I’d love to stay in a medieval tent!! oh wow, this looks like so much fun. Great facilities on offer too and plenty for the kids to do. Oh my goodness, how cool are those tents?! Gosh those toilet blocks are a far cry from the ones I remember from my camping trips as a kid. They looks nicer (and cleaner) than my own bathroom. 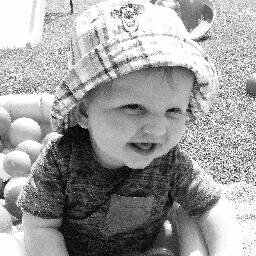 Oh my gosh. This looks amazing!!! A lovely part of the World and food seems to taste so much better when it’s cooked outside ! 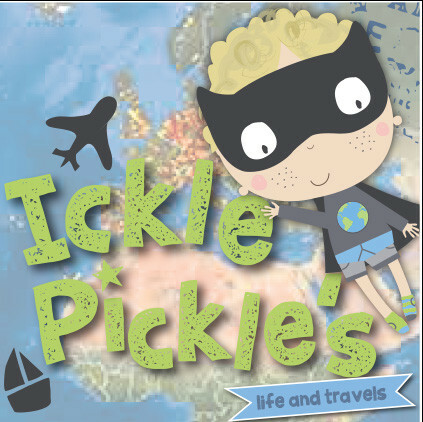 Oh wow, I’d never heard of this, it looks brilliant! Really different to any campsite I’ve seen before.